BAKERSFIELD, Ca. 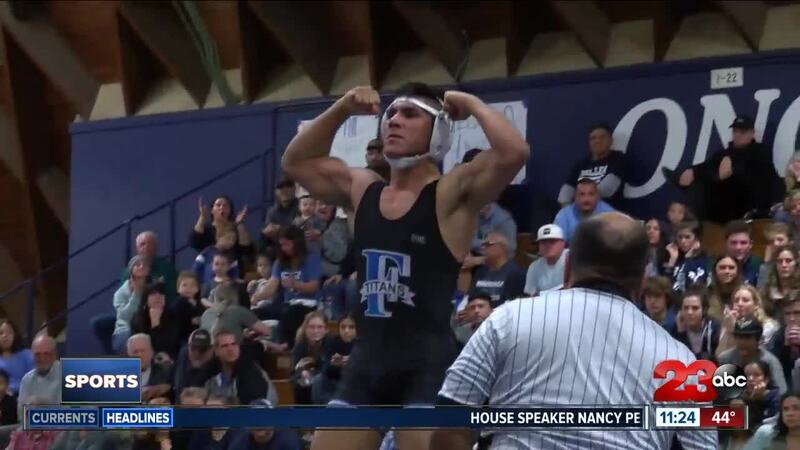 — On Wednesday night, the Frontier Titans rewrote history from the wrestling mat at Bakersfield High. The Titans beat the Drillers 37-32 to claim the Southwest Yosemite League title, snapping a 31-year streak of BHS winning or at least sharing the league crown.